Our Staff is fully bilingual in English and Spanish or English and Khmer. Dr. Folch understands some Portuguese. Among our clinical staff we have our Family Nurse Practitioners as well as three Medical Assistants. We make a special effort to make your visit as pleasant and efficient as possible. Dr. Damian Folch graduated from the University of Puerto Rico School of Medicine in 1978 and did a flexible internship at the San Juan City Hospital. He moved to the United States over 25 years ago and after working in urgent care for different organizations, started his private family practice in the Greater Lowell Area. He is affiliated with the Lowell General Hospital. Dr. Folch is also the Chair of Pinnacle Health Alliance, board member of the Lowell General Physician Hospital Organization, Co-Chair of the Health and Wellness Task Force of the Lowell General Hospital Population Health Innovation Council and member of multiple local and national medical societies such as the American Medical Association, National Hispanic Medical Association, and the Massachusetts Medical Society. He is also a member of the American Academy of Sports Medicine. In 2010 Dr. Folch became interested in Lifestyle Medicine and became a Health Coach. He has been a speaker at the Institute of Lifestyle Medicine in Boston and in 2013 participated in a panel at the American Academy of Lifestyle Medicine on how to introduce Lifestyle Medicine into Primary Care. 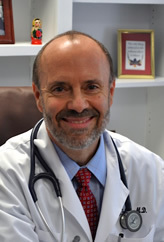 In addition to provide excellent, evidence based medicine, his passion is to use Lifestyle Medicine to empower patients make decisions that will help them transform their lives by making healthy choices, lowering the risk of chronic diseases and improve their quality of life if they suffer from any medical problems.